Hurry over to Amazon to get this Black 48 Blade Meat Tenderizer Tool for only $10.44 when you clip a digital coupon, regularly $21.99. 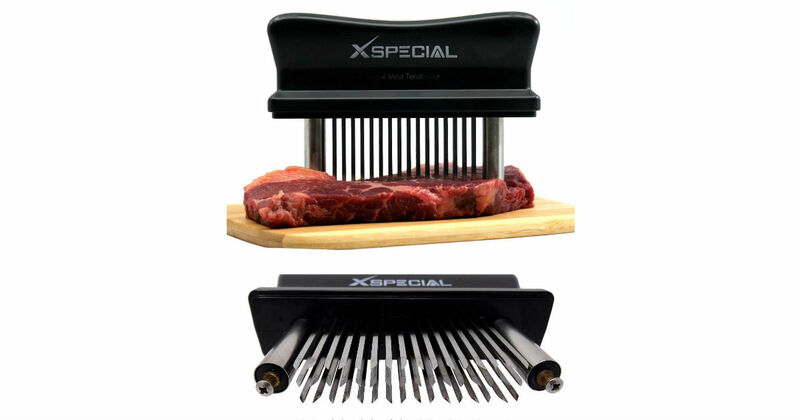 The 48 Razor Sharp Blades break down the connective tissues that makes the toughness of the meat and making it hard to eat. Reducing the cooking time by 40% and the shrinkage with no loss of natural juices.